Copper has been prized for its “living finish” and natural beauty for centuries, making it a favorite of designers and art enthusiasts. 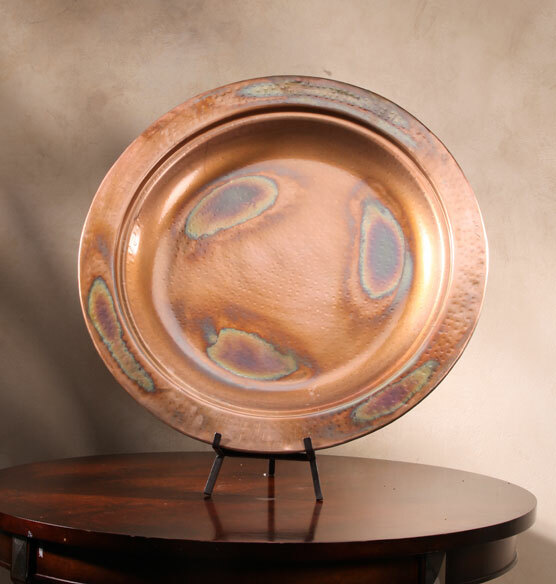 The neutral, earthy tones of this oversized copper plated charger with easel complement any décor, from rustic to traditional to modern. The display easel is included, so you can start enjoying the gorgeous charger plate the moment you receive it.